No swatches for Sinful Colors Cream Pink yet! This is my first time using a nail stamper and I think it turned out alright. I smeared the bow in my index finger a bit because I wasn't careful with my top coat. 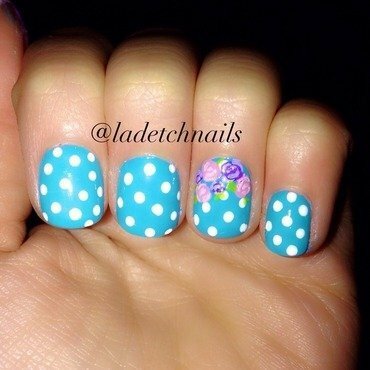 Very simple mani! 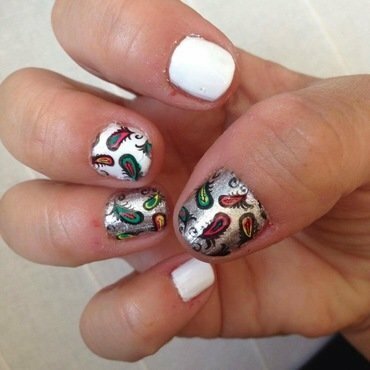 First paint your nails, then grab the white color and a dotting tool. Dot away! Then with the pink and purple color, put random circles where ever you like. Then you will need a lighter color of pink and purple to make the roses pop out! Then with a light green draw random leaves. 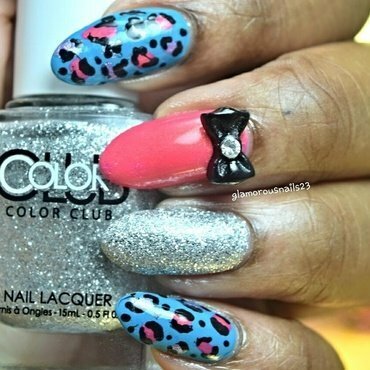 After all is done put your favorite top coat and you got this awesome and simple mani! I dare you to try it and put your own twist!